it integrates the functions of an intelligent optical power meter module and of a highly stable light source module in one unit which can perform closed-loop tests by incorporating both modules. Individual regimes of operation can also be manually chosen using menu operation to switch functions. 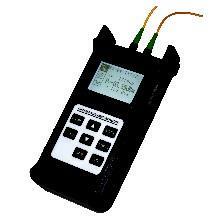 A perfect combination to make your optical fiber tests a lot more convenient.